It's the opening tonight (Friday 3rd August) at 7pm of To Morocco and the Atlas. 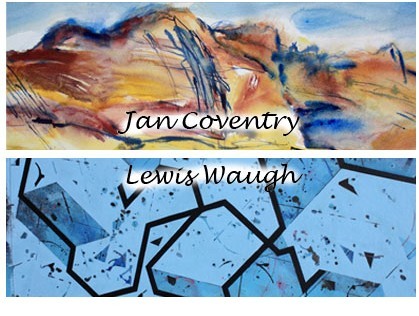 This is an exhibition two years in the making by artists Jan Coventry and Lewis Waugh. They've followed in the footsteps of Victorian explorer and local hero Joseph Thomson who explored the High Atlas way back in 1888. This isn't an exhibition stuck in the past. 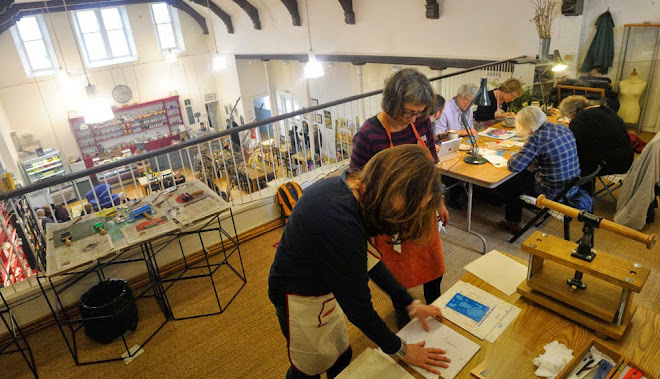 Jan and Lewis's vibrant and colourful works are great contemporary takes on the stunning and often overwhelming Atlas that Thomson first found 124 years ago. The married couple's pieces are stylistically very different, but really complement each other. This is a great exhibition that shows passion, love of adventure, and great artistry. It is wonderful to have it here for the height of summer. If you are around Thornhill, it would be lovely to see you. Entry is free.